In a filing released Monday, hospital leaders responded to a critical analysis last month from the state Health Policy Commission, which said uniting the hospital systems could raise costs by as much as $251 million a year for hospital and physician services. The cost estimates assume that a merger would allow the hospitals to sharply raise the prices they charge for medical services. 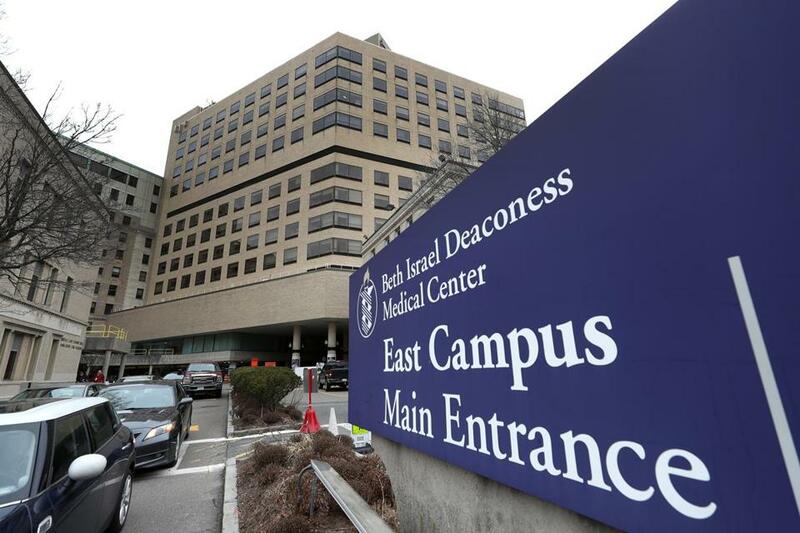 “The preliminary report grossly overstated the potential impact of the merger on pricing and commercial spending in Massachusetts,” Beth Israel Deaconess and Lahey officials said in lengthy response to the commission. The hospitals announced their merger plans in early 2017, after years of on-and-off talks aimed at creating a viable rival to Partners. The merger would be among the state’s largest health care deals ever: It would include all hospitals in the Beth Israel Deaconess and Lahey systems, as well as Mount Auburn, New England Baptist, and Anna Jaques hospitals. The hospitals plan to combine under a new company called Beth Israel Lahey Health, which would have market share almost equal to that of Partners, the parent company of Massachusetts General, Brigham and Women’s, and other hospitals. The deal’s future has looked uncertain since coming under tough scrutiny not only from the Health Policy Commission but from Attorney General Maura Healey, who is also reviewing the deal — and who has the power to challenge mergers. Rivals, meanwhile, have fanned the flames of opposition to the deal. In their response to the Health Policy Commission, Lahey and Beth Israel Deaconess officials outlined what they see as some of the expected benefits of the merger. They said the transaction would allow them to expand mental health and home health services. They also expect to save money by consolidating lab services and purchasing supplies jointly, they said. Beth Israel Deaconess and Lahey hired economists to examine what’s known as the “willingness-to-pay” economic model employed by the Health Policy Commission, which predicts bargaining power and price increases that can result from a merger. They applied the model to past deals, such as Lahey’s 2014 acquisition of Winchester Hospital, and found that it didn’t bear out, said Dr. Kevin Tabb, chief executive of Beth Israel Deaconess. The commission’s analysis also failed to account for an existing benchmark that requires Massachusetts to contain the statewide growth in health spending to 3.1 percent a year, hospital officials said. Sam Richardson, a health care economist at Boston College, said the commission used an appropriate economic model to gauge the effects of the merger. These kinds of analyses are inherently complicated because the health care market involves so many “decision makers,” including consumers, employers, and insurers, he said. “There’s certainly a lot of uncertainty around predicting the effects of a merger like this,” he acknowledged. The Health Policy Commission is expected to issue a final report in late September. It cannot block mergers, but it can refer its concerns to the attorney general. Healey in July said she had concerns about how the transaction would affect costs and access to care, and she signaled she may try to push for limits or other changes to the deal. The attorney general’s comments echoed what some critics had been saying for months. Opponents include two rival hospital systems, Wellforce and Steward Health Care; the Greater Boston Interfaith Organization; and the Make Healthcare Affordable Coalition, which is backed by a Boston consulting firm and says it represents communities of color. “Rather than offer any solutions to fix these data-driven findings, BI-Lahey has decided to attack the Health Policy Commission’s reputable work,” Hanoi Reyes, a spokeswoman for the coalition, said in a statement Monday. A key concern about the transaction is that the new merged system would serve a relatively small share of low-income patients on the state Medicaid program, known as MassHealth. Of the acute-care hospitals involved in the merger, an average of 13.1 percent of patients last year were on Medicaid, far below the state average of 21.1 percent, according to state data reviewed by the Globe. Health insurers said they were worried the merger would lead to higher insurance premiums. “The combined Beth Israel/Lahey could raise prices over their existing levels and still remain lower-cost than Partners,” the insurers noted. Partners officials have said little about the merger — though Partners faced strong opposition from competitors, including Beth Israel Deaconess and Lahey, when it tried to acquire three community hospitals in 2014. Officials at Beth Israel Deaconess and Lahey have argued that their merger will help contain health care costs by allowing them to more vigorously compete with Partners. The state Public Health Council — a separate entity from the policy commission — approved the transaction in April. Federal officials also are reviewing the deal.